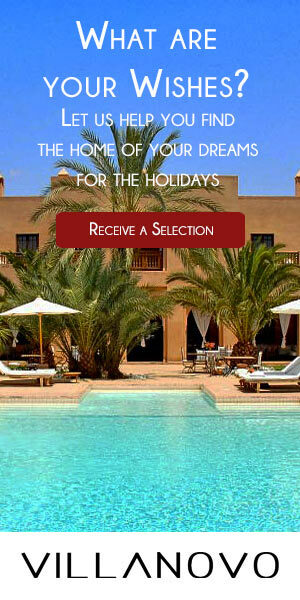 Marrakech is a central city for your destinations in Morocco. It is a base for visiting the cities of the Great South and the Atlantic coast, but it is most often THE favourite destination of lovers of Morocco. Marrakech is a city that offers many distractions, day and night. Today we will discuss the places that bring together the cultural heritage of Marrakech and Morocco. Different visits selected as the most interesting for lovers, alone, in a group or family. In bulk, everything you need to see to have the feeling of having toured the city as cultural heritage. Do what you think is interesting! Be especially capricious and only visit what seems essential to you. The most fun? Walk, stop, haggle and talk with Moroccans! Dar el Bacha (the former palace of the pasha of Marrakech, you can not visit the interior and gardens - intended to receive diplomatic characters on official visit to Marrakech), Jamaa el Fna Square (the heart of oral tradition in Marrakech - a UNESCO World Heritage Site), the souks (various and diverse, a collection of colours, flavours, smells and sounds... you have to know how to get lost to feel its excitement), the Koutoubia Mosque, the Koutoubia gardens, the city (chic nightlife and luxury hotels in the city centre), Avenue Mohamed VI (the emblematic avenue where Moroccans love to walk and picnic in summer, more than 14km long), The Palais des Congrès (which receives the International Film Festival in Morocco in December), ONCF Station (Andalusian-inspired, modern openwork building), The Royal Theatre (Egyptian inspired), Avenue Hassan II (regroups many restaurants, avenue that links Mohammed VI to Mohammed V), Guéliz (the original French quarter, Guéliz means Church), Avenue Mohammed V (the street of the French business centre, the keystone of Guéliz). Mederssa Ben Youssef (ancient Koranic school): an isolated place of time that traced very well the place of education in the social structure in Marrakech. Only gifted boys were admitted. They often came from far away and lodged on site (you can visit their rooms). Bahia Palace: the most beautiful palace of Marrakech inspired by Arab-Andalusian influences, many rooms, a real maze of patios, gardens... a very pleasant visit. Saadian tombs: in the district of the royal palace (still in activity - district Kasbah). The Saadian dynasty of the monarchs of Marrakech (a sherifian dynasty that reigned over Morocco between 1554 and 1660) is buried in this place with all the splendour that is devoted to a king. Majorelle Garden and the Berber Museum: the most famous garden in Marrakech, and worth seeing. Basin, extraordinary plants. It is good to wander in its alleys. A real haven of freshness during the summer periods. We come back refreshed and happy. Paid entry. Garden of the menara: it is the garden of the lovers... the pond is invaded by the enormous carps, which eagerly devour the pieces of bread that you can throw. Quite simple, the visit is traditionally accompanied by a picnic with a tanjia that we enjoy with friends or lovers. The entrance is free. The basin was created as the main water reserve of Marrakech. Gardens of Agdal: the most fertile lands of Marrakech, offered to King Hassan II during his lifetime as a tribute. Not everything is accessible, pay attention to the opening dates. You will walk through olive, orange and lemon trees. The garden continues to be grown as an orchard and produces high quality fruit. Museum of Marrakech: a ticket is associated with the visit of the Madrassah (Koranic school) and the Qubba Almoravide. The museum has a permanent general exhibition that presents all the craft, commercial and artistic activities of Morocco. A temporary exhibition presents a modern artist every 3 months. Tiskiwin House: the house is a riad restored and turned into a museum. It traces the Berber life in Marrakech and in the great South. It is a private museum. Museum in the Majorelle Garden: last born, it evokes the Berber objects of jewellery and costumes. You can combine the visit ticket of the museum with the visit of the garden. To know more about the history of Marrakech, you can read this wikipedia page (a bit arid, but rather complete - for the most meticulous): here.